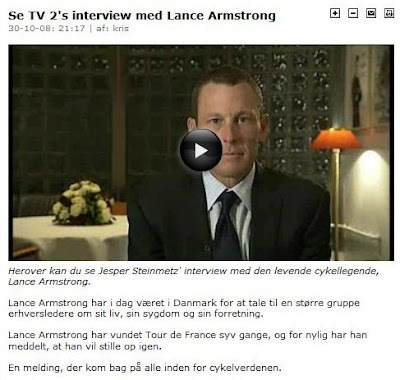 If anyone out there is interested, there was a short interview - about 6 minutes - with Lance Armstrong on one of our national tv channels. You can see it online here. It should be viewable wherever you are. He spoke this evening down the road from here. 500 dollars for a front row seat. 300 dollars farther back. No criticism about that, just providing information.